Have you suffered injuries while you were riding your motorcycle? You are not alone. Many motorcyclists in San Diego and beyond have experienced collisions with motor vehicles that result in severe injuries and even death. Motorcyclists can file injury lawsuits and insurance claims to receive compensatory damages for their losses. However, motorcyclists also can face many biases alleging they were partially at fault for the accident. When you file a motorcycle accident lawsuit or insurance claim, you can receive compensation to help you recover from your injuries. 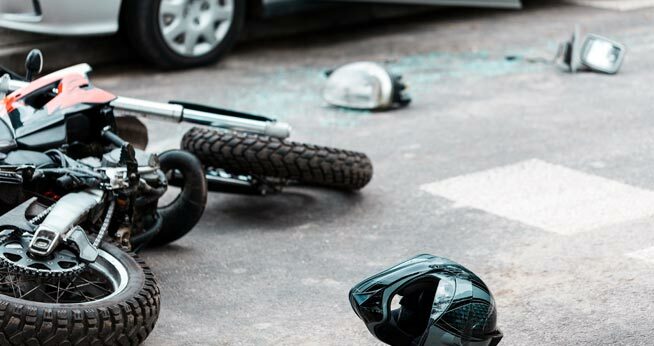 These damages can cover costs related to your motorcycle accident, such as medical expenses, property damage, lost wages, and pain and suffering. However, some rules may reduce or limit the amount of compensation you can receive based on who shared the fault in the accident. This rule is where comparative negligence comes into play. Comparative negligence is a rule of law that many states, including California, employ in personal injury lawsuits in which both parties were somewhat at fault for the accident. After the jury hears a case, they will allocate fault to both parties based on the circumstances in the case. Usually, the jury expresses this fault as a percentage. Different states have different rules that govern comparative negligence. Some states require plaintiffs to pay the defendant for their share of negligence in the case. Other states do not award any compensation to a plaintiff if his or her liability exceeds a certain amount, usually 50% or higher. Other states simply reduce the final settlement amount by the plaintiff’s share of responsibility. California operates using a pure comparative negligence rule to award damages to victims of motorcycle accident cases. The jury will examine the facts of the case and determine the percentage of negligence each party shares. If the jury finds you to be at fault for a percentage of the accident, the court will reduce your final settlement amount by that percentage. For example, say that you are involved in a motorcycle accident with a motor vehicle and suffer severe injuries. You file a lawsuit against the at-fault driver. The jury finds that you were speeding at the time of the accident and states that you were responsible for 40% of the accident. If you receive a settlement of $200,000, you will only receive $120,000. The defendant will not have to pay the remaining $80,000. Motorcyclists can face several unfair assumptions at the hands of juries and law enforcement officers. Many people have assumptions that motorcycles are a sign of crime and that motorcyclists are not responsible vehicle owners. Some people maintain negative stereotypes against motorcyclists that can influence how a jury views the claimant in a lawsuit. As a result, motorcyclists can receive less sympathy in a courtroom than other people – and these biases can reflect themselves in comparative negligence outcomes, resulting in higher shares than what might otherwise occur. Many jurors may believe that motorcyclists are risk-takers and therefore are responsible for their injuries. In addition, insurance companies can take advantage of comparative negligence rules to help reduce their responsibility in these cases. It is important to remember that it is not in the insurance company’s best interest to award you with the maximum settlement amount. They have to pay for your injuries, so they can use many different factors to limit their liability. If you experience discrimination due to your status as a motorcyclist, you need a motorcycle accident attorney on your side to represent your case. Your injury attorney can help evaluate jury members for any biases, conduct a thorough investigation into the facts of your case, and fight diligently for optimal compensation. If you have not done so already, contact a motorcycle accident attorney as soon as possible.